These World Cup kits are flying out thick and fast. 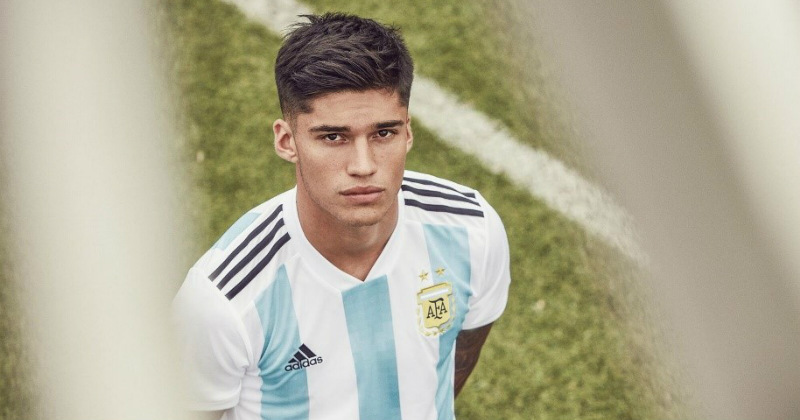 Adidas are getting way ahead of the game by releasing a whole bunch of international kits for us to feast our eyes on before the tournament starts in a distant 9 months’ time. 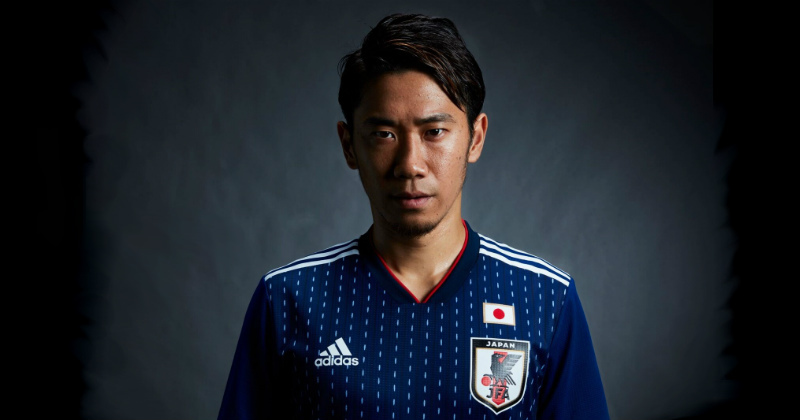 World Cup kits are usually released in the year of the tournament, so we’re scratching our heads as to why we’re being treated to this treasure chest of international kits in November: maybe we’ve been very good this year. We took a good look at the European home kit releases for Russia, Germany and Spain yesterday, and we were very impressed with the throwback style adidas seems to be adopting in all of its designs for the 2018 World Cup. 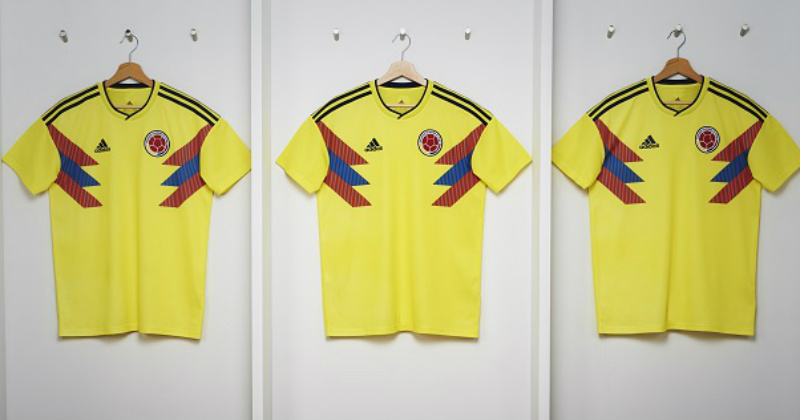 Instant flashbacks to the most iconic Colombia shirt of all time – the 1990 Italian World Cup edition. The famous retro 90’s design has been recreated with a modern geometric pattern with blue and red graphic designs on the side of the kit portraying the famous national colours. 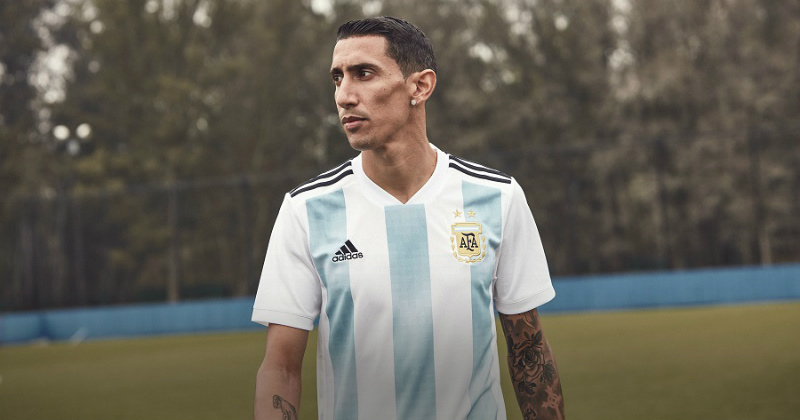 The collar is imprinted with the sign-off “Unidos Por Un Pais” (United as one Nation) which is a nice touch by Adidas. James Rodriguez has come a long way since lighting up the 2014 World Cup and winning the Golden Boot, and first impressions are spot on with Colombia’s new kit- so we can’t wait to see it in action next summer. 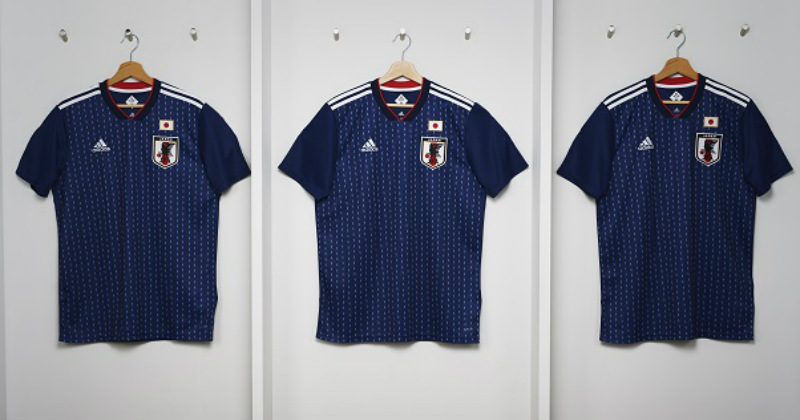 The Japan home jersey takes inspiration from handcrafted Japanese Apparel Design. But what on Earth does that actually mean? Well, the graphic is supposed to mimic the traditional Japanese craftmanship of ‘Sashiko’ stitching technique, made with rough white threads on an indigo dyed base. We’re still not entirely sure what that entails – but we absolutely love it. In short, it looks damn good. The shade of blue, the hues of red and white, the sign-off on the neck area celebrating important moments in their history; everything comes together perfectly to make yet another great adidas football kit. Celebrating the AFA’s 125-year anniversary in style. 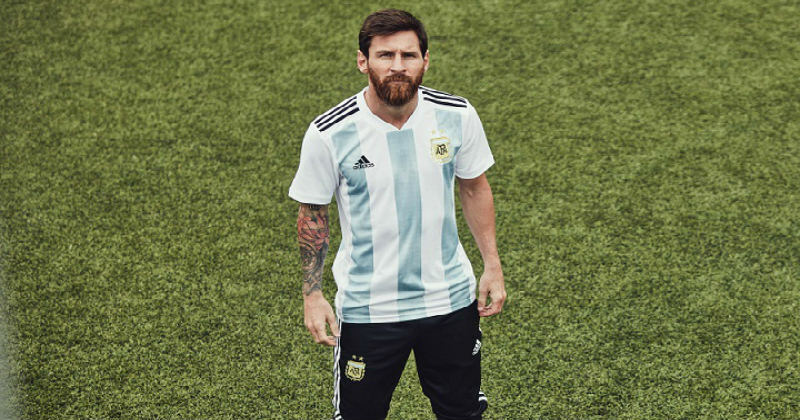 Adidas have payed tribute by subtly incorporating laurels, the key element of the Argentinian coat of arms into the iconic blue and white stripes. If you’re thinking; ‘Hang on a minute. There aren’t any laurels in those stripes’, don’t worry, because we thought the same. The laurels are executed in a modern pixel optic to offer a contemporary look. An embossed sign-off combined of laurels and the number 125 also features. 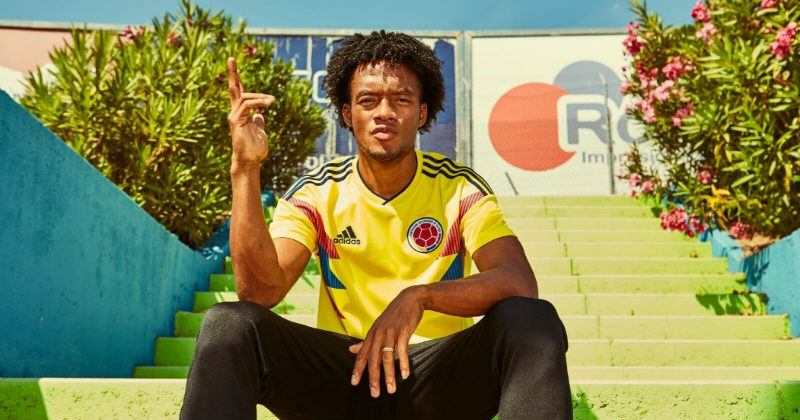 The retro looks are on point with adidas’ new releases, and we can’t wait until the rest of the World Cup football kits are released. Let us know what you think of the new kits in the comments below! Vive la France. Nike have unleashed a stunning collection of French football kits ahead of this summer’s 2018 FIFA World Cup- and they aren’t holding back on the patriotism. Uruguay and Puma have combined once again to release the new home kit for the 2018 World Cup in Russia.